In the late 1980’s and early 1990’s there were several national leadership conferences held in various regions of Canada. These conferences were a beginning. An interest pursued by the youth of the breed who wanted to contribute to its development in a big way. As the idea evolved, boards and associations began supporting a continued format to encourage and educate the youth. The current format of the CCYA National Conference and Show exploded on to the scene in 1993 with 80 participants converging in Camrose, Alberta. At times the Conference and Show has had more than 150 participants. While at the Conference and Show, members participate in individual and team judging and marketing, artwork and photography, team grooming and traditional showmanship and conformation competitions. The Conference and Show rotates across Canada, receiving a warm welcome from breeders in the hosting provinces. 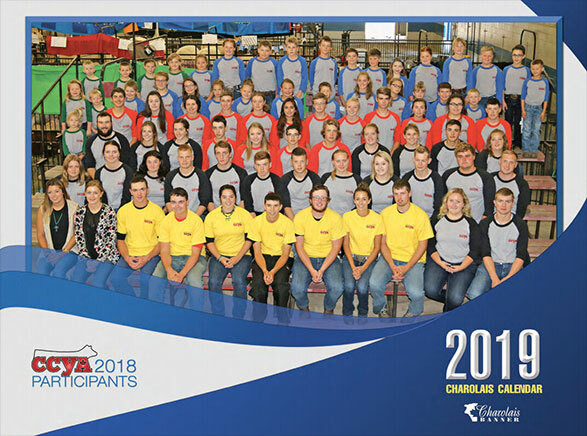 Recently, the 2006 Conference and Show held in Portage la Prairie, Manitoba, saw more than 94 Canadian youth participating. Many families attend the conference annually as their summer vacation, with youth members having fun and making memories and friendships that last a lifetime. Activities of the CCYA, once limited to the Conference and Show, have seen an increase in opportunities. In 2000, that the CCYA established a National Board of Directors, separate from the Conference and Show Organizing Committee, to focus on furthering the opportunities available to youth members. Out of this have come the Genetics Program, Essay Contest, Newsletter and recently updated website. The National Board meets twice a year, at the Conference and Show and in December at the Canadian Charolais Association offices, and holds conference calls to ensure that the activities of the association are running effectively. Furthermore, the CCYA is always looking for and working on new initiatives to increase membership and youth involvement while developing strong leadership and industry skills. The success of the activities aimed at Charolais youth can be seen with participation of the second generation of youth members in association initiatives, such as the Conference and Show. View a documented history of the CCYA Conference and Show.